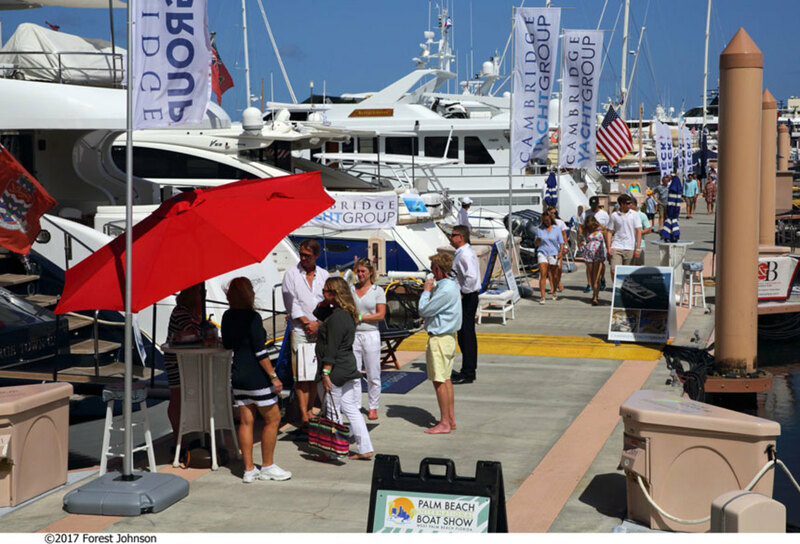 The Palm Beach International Boat Show returns this week on Flagler Drive in downtown West Palm Beach. The 33rd Palm Beach International Boat Show kicks off on Thursday and runs through Sunday featuring $1.2 billion worth of boats, yachts and accessories. The show, which is held directly across the Intracoastal Waterway from Palm Beach Island, will offer free youth fishing clinics by non-profit Hook the Future, International Game Fish Association School of Sportfishing seminars, long-range cruising clinics and on-the-water boat handling classes. There will be live music and refreshments at the show&apos;s floating cocktail lounges. Guests are invited to come by boat and may tie up to free docks located south of the in-water boat displays. The Palm Beach International Boat Show will have an enhanced VIP experience — an air conditioned private club located at the center of the show that will offer food and beverages. Another benefit VIP experience is a dedicated concierge team, Delmay and Partners, who work on behalf of VIP pass holders to arrange yacht tours, local dining reservations, private transportation and other personalized services.